Wisconsin Ave NW and Davis St. Closest metro - Woodley Park.We offer FREE PARKING. Just get your valet ticket validated by our team before leaving. Alternatively, we are a quick uber or cab away from all parts of Washington, DC. Our private dining space, The Rock Creek Room, is located within the Glover Park Hotel and can accommodate private parties from 10 to 100 guests. In addition we offer our beautiful outdoor space, The Deck, which can accommodate 125 guests. Please send emails to eventsdc@schlowrg.com for inquiries. Casolare Ristorante and Bar brings classic, Italian cuisine to Upper Georgetown. Our menu includes fresh seafood, pasta, pizza, market vegetables, gorgeous antipasti and fabulous desserts. Created by James Beard award-winning chef Michael Schlow and located at 2505 Wisconsin Ave. in The Glover Park Hotel, Casolare brings you the very best of Italy’s varied cuisines. Executive Chef Patrick Curran leads the kitchen team with traditional, Italian classics and delivers exceptional, flavorful, authentic food. Whether you are joining us for breakfast, lunch or dinner, or perhaps a little apertivo and snack at the bar, be prepared to enjoy and embrace a few moments of true Italian hospitality, Casolare style. We also hope you will join us for our Jewish Roman brunch bringing the best of the Lower East Side to Rome - right here in Washington, DC. Great food! Excellent wine list. Very comfortable ambiance in the lobby of a unique hotel. I had the most delicious house made mozzarella dish I have ever had! Everyone's food was very good, and the atmosphere was very pleasant and unrushed. Our server was not attentive, which was very frustrating. This may have been because he was attending a large party nearby. We will definitely give Casolare another chance. I hope the mozzarella starter will still be on the menu! We scheduled a brunch reservation weeks in advance. Excited for a delicious meal we arrived and proceeded to wait 10 minutes before we were even greeted by a host. Then we sat down and never got menus, water or service until we went to find someone. Basically the service was nonexistent. Overall a BAD experience and would certainly not be returning. Amazing food and great atmosphere! Everything we ate was amazing! The food is always consistent, exquisitely executed with such wonderful flavors. 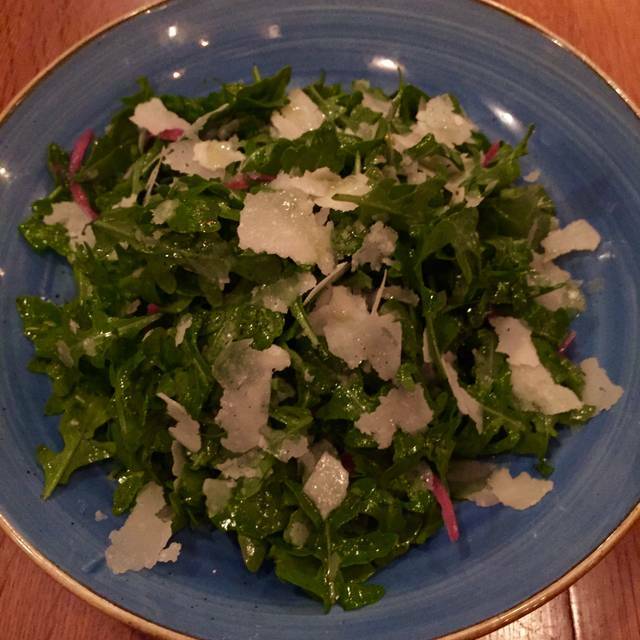 From my favorite Arugula salad, simple and fresh; perfect pasta dishes, and spectacular bread. We can never resist their Tiramisu, one of the best of any place we've been. A little pricey but good food. Firstly it was empty. Weird. When the food FINALLY ARRIVED, it was beyond salty. I’ve eaten many bagels in my day and this one was not edible. We were the only table in a giant dining room, which was a red flag. Really upset that we didn’t get up and leave when we saw this. Would never go back or ever ever ever recommend it. As always, Casolare was excellent. Here’s an odd recommendation - have the polenta as a side dish. My husband ordered it, but I kept taking bites and, a la Goldilocks, I ate the whole thing! Dee-lish! I was expecting to like this place more than I did, as friends had recommended it. Perhaps we made bad choices. My husband had chicken parmesan, which was a generous portion but that's the only positive thing we could say about it. In fact, it was dreadful: the chicken was dry and over breaded. The dish was drowning in mozzarella, and so bland he had to request parmesan to create some flavor. I had meatballs, which were very good, and eggplant parmesan, which was way too oily. Our two friends had pasta dishes (ragu and ravioli) and although they were happier with their dishes than my husband or I were, neither was thrilled. By the end of the evening, the restaurant was so loud we could not hear each other speak, even when we raised our voices. We will not be going back. Great happy hour at the bar 3-7p. Good for a drink before dinner reservation. Food is outstanding and very good value at Happy Hour. The reubon was made with roast beef and it was obvious that it was not made with either corned beef or pastrami which is usual in an ‘old fashioned ruebon.’ I asked the staff about this and they insisted that the roast beef I was eating was corned beef. That was a lie. The pizza they served my wife was embarrassing. We have eaten here before and it was very good before. However, on this occasion the crust was extremely hard, cheese congealed and pizza was overall cold and terrible. We also ordered a bottle of sparkling wine which the server allowed to explode and put the exploding bottle in the middle of the table. The sparkling wine then proceeded to spill all over the table and us. The waiter then walked away and left us to clean up the mess he created. One person in our party also ordered coffee and milk which took over 20 minutes and several requests for us to receive. My wife and I have been here for dinner several times and enjoyed the food and service. The staff at brunch seemed to be fairly incompetent at brunch. We are extremely unlikely to return. Lovely restaurant, quiet and attractive, delicious food, excellent service! I was surprised after reading the great reviews. Nothing spectacular on the food scale, of course, I was raised in an Italian home and lived in NYC for a long time. The apps were nice (eggplant and meatballs), but my giant chicken parm was near tasteless. Service was good. It was just a bit pricey for the quality of food. Fantastic food for brunch with friends. I hate brunch and I loved going here. We ended up eating in the bar. Seven days a week happy hour. Staff was fantastic--friendly, but not overly so, knowledgeable about the menu and willing to recommend. We had happy hour drinks and small plates--dont pass up the eggplant! And then desserts. Desserts overall were uninspiring but tasty. We wanted something chocolate and the only option was gelato sundae. Good but not great. Noise level was such that we could talk in a normal voice and perhaps slightly elevated as the bar filled up. Will definitely go back to try some of the entrees. Casolare did not disappoint tonight! The food was great, the service was outstanding, and the drinks were tasty. I’m so happy that we gave it another chance because it more than met our expectations. It’s always nice to return and give a good restaurant the opportunity to redeem itself. Thanks for a delightful evening. What a pleasant surprise! A true hidden gem! 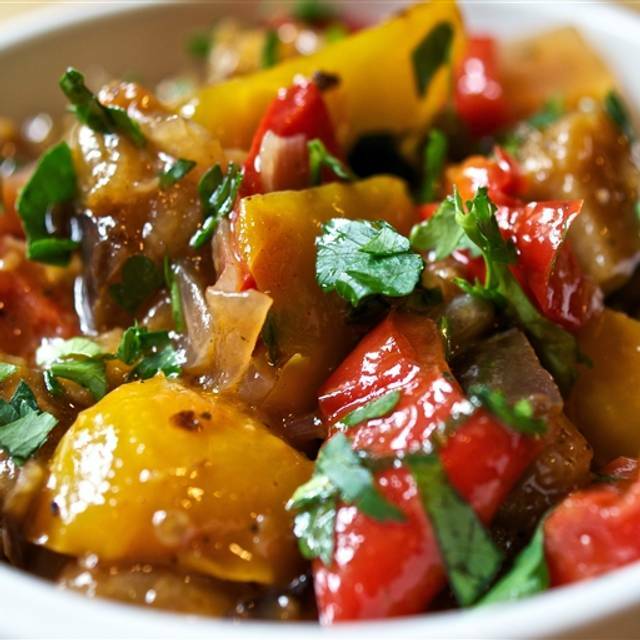 Loved the Mama Zeeca’s Eggplant! Arugula Salad was delish, and plentiful...enough for two people. Friendly and attentive service in a cozy atmosphere. My new spot for yummy comfort food! 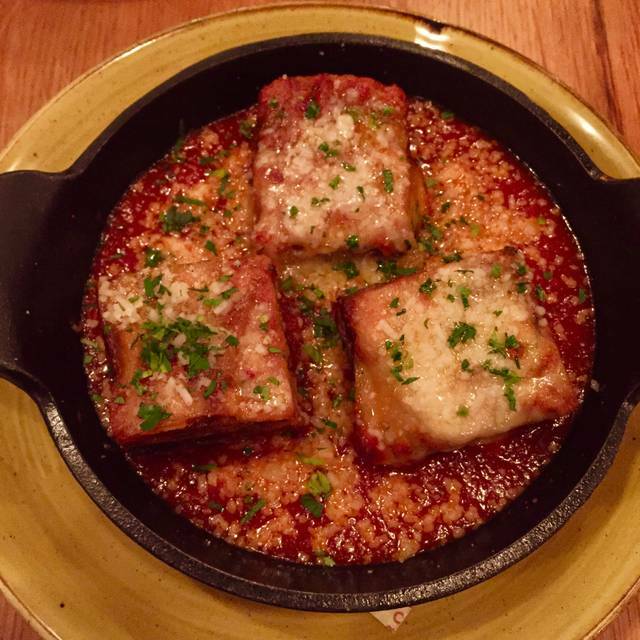 Casolare has been among our area favorites for a number of years. When my father said he wanted to enjoy an Italian meal for his 90th birthday, my partner and I brought him here. He was duly impressed, which is saying something for a northern New Jersey-native who has enjoyed the NYC-area's robust Italian dining scene since the late-1940's. As always, the service was wonderful, with the manager and several staff members dropping by to say happy birthday. As always, we're looking forward to our next visit. Our meal at Casolare was Sunday brunch for a family group of 7. The restaurant staff merits praise for patiently dealing with fluctuations in the number of expected diners during the reservation process; additionally, our server did a very good job handling our large group, in which several members made special requests. Perceptions of the food varied. I thought my bagel and whitefish salad platter and accompanying pastry basket, which I had greatly enjoyed during a prior visit, were again outstanding, and among the best Washington has to offer. Family members who ordered egg dishes were more sparing in their praise, however. Lovely food, service and atmosphere. Will definitely return! Quiet, hidden gem in a great location. Complimentary valet parking is the cherry on top! For being a relatively slow night, the service was not great and the food was just ok. Have had a much better experience other times we've visited! The pizza was delicious-thin crust and very tasty sauce. Hit the spot! Everything about the experience was positive. The waitress was especially gracious helping us to decide on deserts etc. And the food was outstanding. Great experience! Food, service, and atmosphere exceeded expectations! The red snapper with wild rice and the slow roasted salmon---both well prepared and presented, delicious and generous proportions. All workers inside and outside the restaurant were most welcoming, unpretentious, competent, and professional. My wife and I were able to talk in normal tones and hear each other while still hearing Frank Sinatra in the background. A very enjoyable evening. Very friendly, and casually cool restaurant. Great food, everything we had was very delicious. The croquettes were fantastic. Would recommend and go back. The food was great. The service was amazing. I hesitate to use waitress because they were so good to us, but our waitress was great. I haven’t experienced a great brunch out where an establishment was just so phenomenal with everything they did. Great food, great service, great people what more could you ask for! Thank you and I will be back soon. This place was just ok. I was expecting better bc of the reviews but everything was mediocre with a few exceptions. Salad had almost no dressing the wine we ordered was out of stock, snapper and pork chops both dry. None of the food came out at the same time. All 5 dinners came out within a few minutes of each other. I would not recommend or go back. I was so excited to go to Casolare, and when I saw that they were doing Restaurant Week AND the carbonara was an option, I was sold on taking a group there. The place is beautiful and was perfect for our group! However, three of us ordered the carbonara and had been enthusiastically informed that it would be done well since it was done as they do in Italy. We were so sad when it came out and lacked the unctuous creamy sauce that normally makes a carbonara, and one person commented that it tasted like noodles with bacon and a ton of pepper. Though the service was good and the other dishes were well-received, the carbonara just made us sad. Delicious chicken parm! This is a lovely restaurant to go to for a terrific meal. The bar area has a neighborhood feel. The GM is a gem! What a fantastic neighbor restaurant find! Such great ambiance to match their delicious Italian menu choices. And while I thought the chicken parm was great, I was a bit disappointed with my dessert. I like hot fudge on my sundaes hot. Great place. Good food, good menu, good service. Martini could have been a bit drier. We had been to Casolare several times in the past and are "newly" impressed with this large yet cozy restaurant. The ambiance is warm, italian tiled and accented with modern paintings. The booths are inviting and spacious and tables are spread apart so as to not be disturbed by other diners conversations. Our server was amiable, warm, attentive and her recommendations were fabulous. As someone who makes fresh pasta at home I was impressed with the"simple" spaghetti dish bursting with flavor, just the right amount of sauce, basil and parmesan. The fresh mozzarella appetizer was outstanding. We are delighted to have this wonderful gem in our neighborhood. Every time we go to Casolare we ask ourselves afterwards why we don't go more often. The food is always good and it's a comfortable space. I highly recommend it! This was definitely a hidden gem! My wife and I enjoyed our 3 course meal and our server was superb. The restaurant was quaint and we highly recommend it. We enjoyed dining at Casolare. Everyone was very nice and hospitable. Nataly, our server, was excellent and all staff were very attentive without overdoing it. Everything we ordered was excellent, especially the fish and pasta. The atmosphere was just what we wanted.